Forest School is an inspirational process, that offers children regular opportunities to achieve and develop confidence and self-esteem through hands-on learning experiences in a woodland or natural environment with trees. Forest School is a specialised learning approach that sits within and complements the wider context of outdoor education. Forest Schools in the UK have been adapted from a Scandinavian approach to learning. The original source of the concept was from Sweden and has spread to other Scandinavian and European countries. It is growing rapidly as a direct response to the realisation that in the digital age our children are spending less time outside, taking fewer risks (and therefore not recognising and managing risk effectively) and suffering from what has been described as ‘Nature Deficit Disorder’. Our nursery is co-owned by Ed, a Forest School Leader, Bushcraft leader and member of the Institute for Outdoor Learning. It is surrounded by beautiful woodland to which we have free access at all times. Much of the children's day will be spent exploring, testing themselves, and coming up with fantastic, imaginative ideas inspired by the woods. We aim for them to become healthy and active individuals, with a love for the outdoors and our world. The children learn about our natural surroundings, try new skills (like sawing wood), have a fire and explore, climb and create stories which come back with us to the nursery and sometimes become exciting projects to take further. 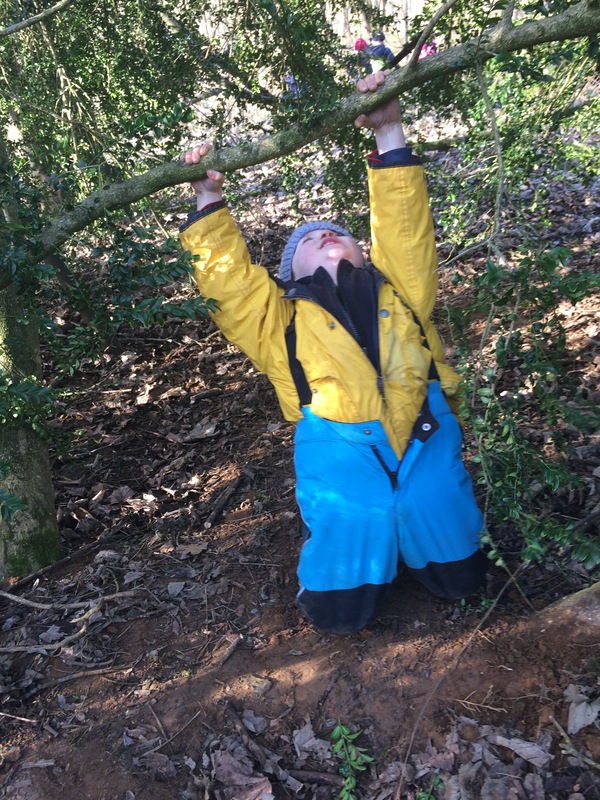 The holistic skills, understanding and experiences developed through a Forest School experience are transferable to the rest of a learner’s life. Improved confidence, self esteem, problem solving, social, emotional skills and independence are particularly relevant lifelong skills. Forest School also transfers to the wider community. Once children enjoy playing in natural places this enthusiasm spreads to their family increasing visits to wild places and encouraging them to use gardens more frequently and widely. We visit the woods regularly, but we also have outdoor learning based at the nursery every day in our large garden. Our outdoor learning will be organised by a lead Forest School practitioner. Have a look at our In the Garden page for more information.